Recent research has shown that exercise can have a positive effect on Parkinson’s Disease. Join us for our complimentary Parkinson’s exercise class and to learn more about the overall benefits of physical activity. Classes are free and open to the public and led by a licensed occupational therapist with Paxxon Healthcare Services. Reservations required. 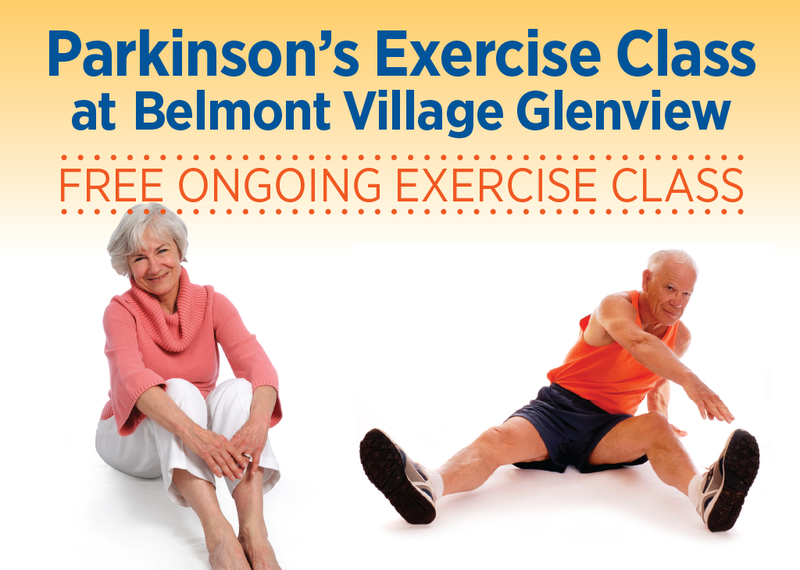 For more information or to RSVP, contact Jenene Paterno at 847-657-7100 or jpaterno@belmontvillage.com.